Let's deliver the milk - together. 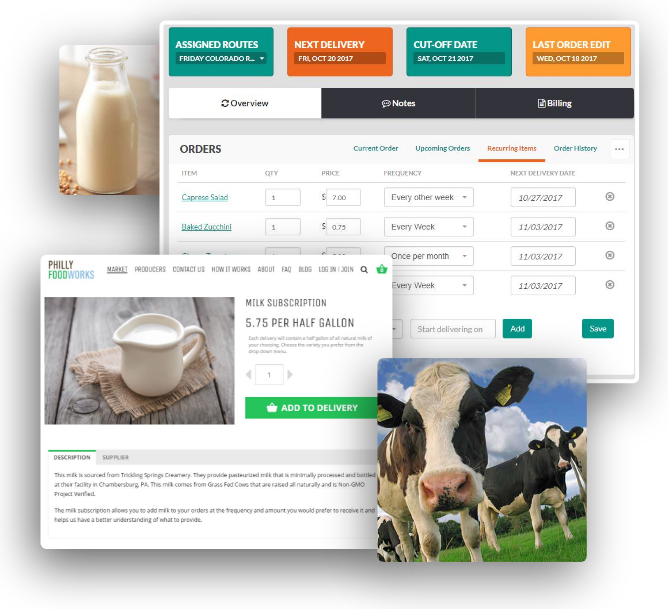 Our suite of tools for home and commercial delivery dairies is unparalleled - with a full-service customer marketplace frontend allowing order edits, recurring items, automatic intelligent route assignment, and billing built right in. We know the dairy delivery industry functions differently than other food industries. So, we built industry-specific functions into our dairy management software. For example, if you've got milk bottles, coolers, or milk crates that need to be returned from the customer, our deposits system will keep you organized and able to track who has what outstanding. Of course, with our dairy management software, you also gain access to the other useful features that DBP offers.